No Surprise here. 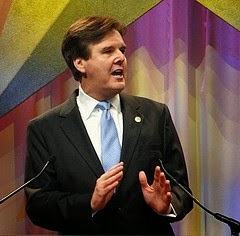 State Senator Dan Patrick, candidate for Texas Lieutenant Governor, has been rated as the MOST conservative State Senator in all of Texas for the most recent 2013 legislative session. Dan Patrick is vying in the March 2014 Republican Primary election to be the leader of the Texas State Senate, the LT Governor. In Texas, if you are going to run for statewide office, you have to at least be able to present yourself as super conservative. 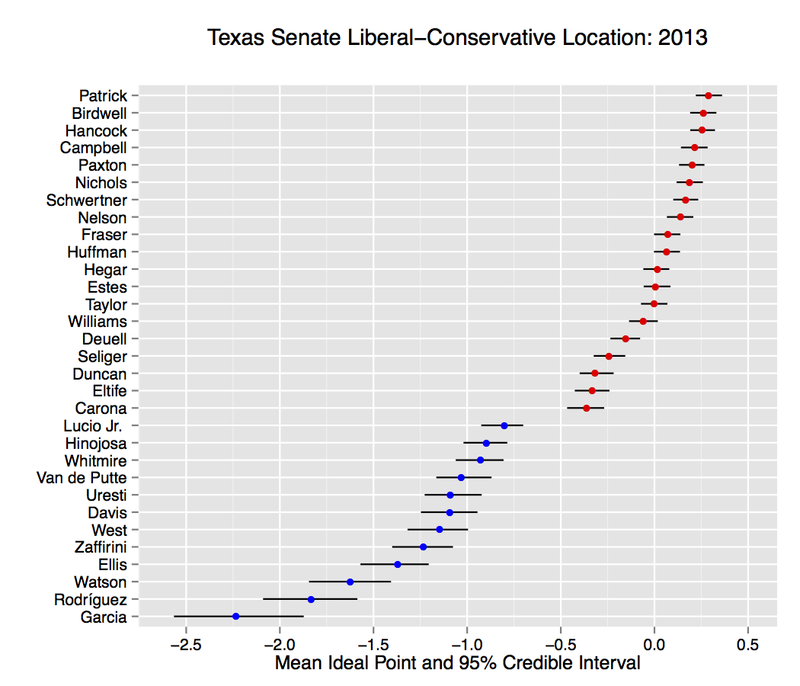 Dan Patrick does not have to just present himself as the most conservative in the Texas Senate. He IS the most conservative, at least that is according to Rice University's Mark P. Jones in his most recent ranking of Texas State Senators from the 2013 Texas Legislative Session. Why are the conservative rankings of Mark P. Jones so important? Mark P. Jones does the most comprehensive, non partisan conservative/liberal ranking in all of Texas. His Lib-Con scores are based off of EVERY single vote and it shows the voting differences between candidates from the most liberal to the most conservative. This ranking system is very different from other ranking systems like Empower Texans or Texas Eagle Forum or Texas Right to Life. Those ranking systems are GREAT if you are looking for rankings of candidates based off of specific issues and votes dealing with fiscal conservatism, social issues, or pro life issues. These are all very important ranking systems and Dan Patrick is very high, if not at the very top, in all of them. These other rankings do not cover every single vote or issue though. That is where Mark P. Jones is so valuable. His rankings allow people to see the entire overview of how every legislator compares with each other when it comes to every vote taken. Again, this is no surprise to me. I already know how conservative Dan Patrick is. Now, even the top non partisan, most comprehensive, non issue, scientifically based ranking makes it clear that Dan Patrick is the top conservative leader. 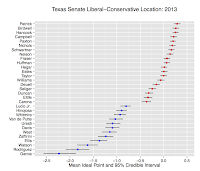 The Mark P Jones Liberal-Conservative ratings for the 2013 Texas Legislative Session are out. This study is the most comprehensive ranking of Texas Legislators and covers ALL floor votes taken. My State Senator Robert Nichols was ranked as the 6th most conservative Member of the Texas State Senate. Great Job! Click on Mark P Jones graph below to enlarge. 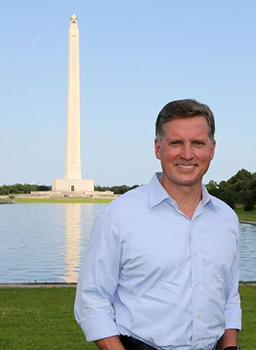 Texas Attorney General Candidate Barry Smitherman has taken a STRONG stand against CSCOPE and Common Core and Smitherman has vowed to fight it tooth and nail as Texas Attorney General. “As the chief law enforcement officer for the State of Texas, the Attorney General must ensure that the laws of Texas are obeyed and enforced. When the Texas legislature passes a bill, in this case HB 462, which forbids Common Core Standards in Texas Schools, then the Attorney General should ensure that Common Core Standards are not utilized by Texas schools. We cannot let the enticement of federal dollars cause our school districts to ignore state law. I have personally reviewed CSCOPE curricula which is extremely biased against fossil fuels; describing, for example, only the “harmful effects” of oil, natural gas, and coal. The State of Texas is the leading provider of fossil fuels in America, driving our economy forward, lowering energy costs, and eliminating our country’s dependence on fuel from countries that are hostile to America and her ideals. This is absurd! Texans have been fighting tooth and nail to stop CSCOPE and Common Core from getting into our public schools, and Ken Paxton, in his own words, says he probably won’t get involved in defending Texas law that bans common core? In comparison, Texas Attorney General Candidate Barry Smitherman has taken a STRONG stand against CSCOPE and Common Core and Smitherman has vowed to fight it tooth and nail as Texas Attorney General. See statement from Barry Smitherman below. Last session, the Texas Legislature passed HB 462 which bans Common Core in our Texas public schools. The U. S. Dept. of Ed. 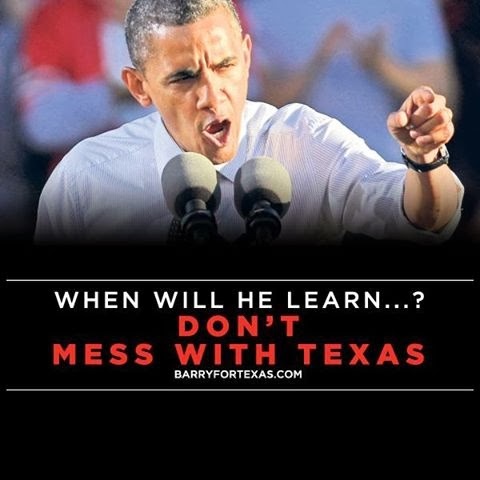 under Obama has created a work-around in which Race to the Top funds are sent directly to Texas public school districts. RTTT-D demands that schools implement the Common Core Standards Initiative. Last year Harmony and Idea Charters received the RTTT-D1 funds, and this year Houston ISD and Pasadena ISD are in the running for the RTTT-D2 funds. This puts these schools directly in opposition to Texas law under HB 462. 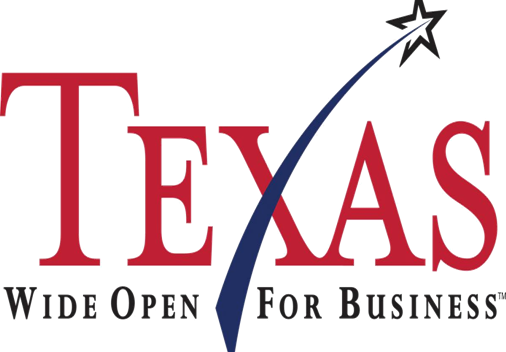 In Contrast AG candidate Ken Paxton states…. At a Q&A session Texas Attorney General candidate Ken Paxton was asked about how he would approach Common Core Standards and CSCOPE. Then Paxton referenced “lawsuits” as a reason he would avoid taking action on Common Core Standards/CSCOPE issues. As you consider funding opportunities, especially those offered by the United States Department of Education, I want to remind you of the provisions in a new law prohibiting the adoption or use of the Common Core State Standards. 4. prohibits the Texas Education Agency from adopting or developing assessments based on Common Core State Standards. You may read the full text of HB 462 at: http://www.legis.state.tx.us/tlodocs/83R/billtext/pdf/HB00462F.pdf#navpanes=0. 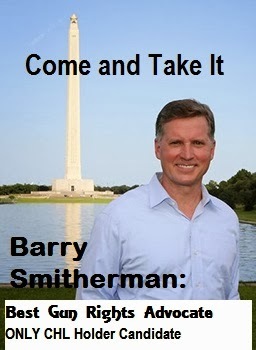 Barry Smitherman is the ONLY candidate in the Texas Attorney General race with a Concealed Handgun License (CHL). The fact that Barry Smitherman actually packs heat, on top of the fact that he got an A+ rating from the National Rifle Association (NRA), is why I believe that Barry Smitherman is clearly the best gun rights Texas AG candidate over Ken Paxton and Dan Branch. Anyone can talk a good talk about supporting gun rights, but Barry Smitherman actually practices his right to bear arms. Anyone can say they understand the importance of gun rights and anyone can say they defend the right to bear arms, but at the end of the day, if you have never even gotten a concealed handgun license then you DON'T really fully understand the importance and need to protect gun rights. If you did really understand the importance of guns and gun rights then you would ALREADY have a concealed gun license. One of the biggest issues facing America right now is an unprecedented attack on the 2nd amendment rights of Americans. Obama and the Democrats are doing everything they can to strip away our gun rights in exchange for gun control. The Texas Attorney General will need to protect and defend the 2nd Amendment rights of Texas. The Texas Attorney General will need to protect and defend the gun rights laws that the State of Texas has passed. It is not a matter of if. It is a matter of when. So the question is, when the time comes for Obama and the Democrats come after our guns, who do you want "behind the barrel of the gun" firing back at the liberals? I want Barry Smitherman. 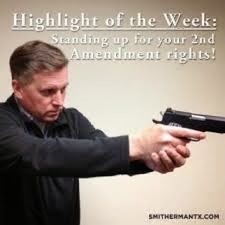 When it comes to voting for the person who I can trust most to understand and defend gun rights, I pick the guy who actually packs heat instead of the guys who talk about the right to pack heat but have never felt it to be important enough to actually pack heat. Furthermore, the State of Texas is actually NOT even the most gun friendly state in America. Texas does not even allow any open carry handgun laws even though MANY states DO have open carry laws. These laws to allow open carry in Texas have been pushed in recent years, but the Senators and State Representatives have blocked the laws. I would be willing to bet that most of those legislators do not have a concealed handgun license and therefore do not really understand the importance of gun right. They certainly do not understand that open carry is no more dangerous or alarming than concealed carry. Just look at the other states with open carry rights, no one is getting into shootouts in the middle of the streets or anything and I would be willing to bet that a criminal who sees someone with a gun is less likely to commit a crime in the first place knowing for sure someone has a gun and will fire at them. Because Texas has a long way to go to be even more of a gun rights state, it is imperative that the next Texas Attorney General be someone who goes above and beyond just supporting the current Texas gun rights laws. The next attorney General for Texas should be someone who will push for even more gun rights than what we currently have in Texas. The list of Texas Concealed Handgun License holders is not a public list. So how do I know that Barry Smitherman is the only candidate with a concealed handgun license? It is simple. Barry Smitherman has talked about having a CHL in public with the other candidates around and the other candidates have not chimed in about them having a CHL. Furthermore, Barry Smitherman has actually come out and said that he believes he is the only candidate in the race with a CHL and neither Ken Paxton nor Dan Branch have disputed this statement from Smitherman. You don't allow someone to say they are the only candidate with a CHL unless they actually are the only candidate with a CHL. 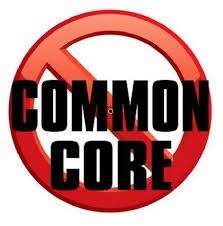 WASHINGTON -- Congressman Steve Stockman Monday asked President Barack Obama to fire Education Secretary Arne Duncan after comments Friday in which Duncan dismissed opponents of Common Core as suburban moms with dumb kids. “It’s fascinating to me that some of the pushback is coming from, sort of, white suburban moms who — all of a sudden — their child isn’t as brilliant as they thought they were and their school isn’t quite as good as they thought they were, and that’s pretty scary,” Duncan said in a speech Friday in Richmond, Va., addressing the Council of Chief State Schools Officers Organization. Duncan’s remarks were confirmed by Education Department Assistant Secretary for Communications and Outreach Massie Ritsch and reported Saturday by the Washington Post. “Opposition to Common Core must be led by the states. Texas may not have officially taken Common Core standards, but they did work with the same groups in the writing of the TEKS. Texas needs to kill CScope and reject Race to the Top funding if we are to get Washington mediocrity out of our schools,” said Stockman. It is almost unbelievable that something like this could happen in Texas. University of Texas Regent Wallace Hall was looking into corruption. He uncovered things like letters from Democrat State Senator Judith Zaffirini to Officials at UT trying to get friends of Zaffirini admitted to UT even though they were not qualified and had previously been rejected. What reward does Hall get for his noble actions to uncover corruption, including financial scandals? AUSTIN — On Dec. 3, 2010, state Sen. Judith Zaffirini tried to use her clout withUniversity of Texas System Chancellor Francisco Cigarroa, writing a letter on behalf of an applicant to the University of Texas School of Law. Regent Wallace Hall is facing impeachment for mentioning the existence of two letters like this one. At Hall’s show trial Tuesday before a select committee, his persecutors made it clear their strategy is to accuse him of a crime for sharing this information. Yet, curiously, the letters themselves were hardly mentioned Tuesday. This is why. The proper channel for recommendations is the Law School Admissions Council. Letters sent outside that channel are clearly meant to gain the applicant admission through influence rather than merit. It isn’t hard to understand why Cigarroa didn’t correct or scold Zaffirini — university officials invest a lot in trying to keep Zaffirini and a handful of other lawmakers happy. There are the flattering notes. “Somehow, a football game is dull without your presence in our suite so I get a little jealous when you are in WP’s suite,” Cigarroa emailed Zaffirini last year. WP refers to UT President William Powers. Then there’s the money. The five luxury box tickets to all Longhorns home games, which the university system has provided since at least 2010 to Zaffirini, her husband, her son and two of their friends, are worth about $30,000 a year. Then there are the admissions favors, and the question of how effective and commonplace are letters sent outside of the Admissions Council. One of the accusations against Hall is that his large records requests have been too much of a burden for the university. It turns out that Zaffirini, one of Hall’s accusers, is far from shy about imposing work on the public records staff at the university system. On March 26, Zaffirini filed a massive request for “any and all data that relate in any way to the following categories,” naming Powers, Hall and some two dozen people, dating back two years. 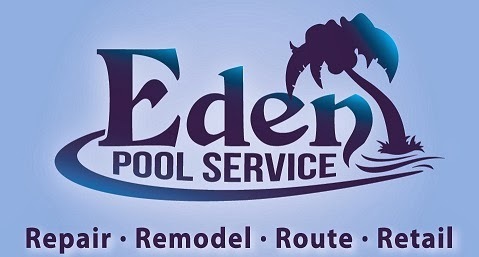 The system had to contract an outside company to fulfill the request. She wrote Cigarroa to complain it was taking staff too long to fulfill her requests. “Frankly, I don’t understand such delays and what always seems to be an over-abundance of concern about what might be confidential – when, of course, usually it is not,” she wrote. Michael Quinn Sullivan speaks out on the latest attack from Todd Staples. The fact of the matter is that in 2007 Sen. Patrick voted against the bloated budget and had the 4th-highest rating of all 31 senators on that inaugural Fiscal Responsibility Index. Since then, Sen. Patrick has consistently ranked near or at the top of the Fiscal Responsibility Index and Texans for Fiscal Responsibility rankings. By way of comparison, Mr. Staples’ legislative services pre-dates the Fiscal Responsibility Index, it should not be ignored that he voted for a 16% budget increase in 2001 and later – in 2006 – Staples voted to impose the gross receipts tax on Texas’ small businesses. In Sen. Patrick, we look forward to having a lieutenant governor who has stood steadfast for commonsense budget and property tax reforms, while arguing consistently for making the state senate more transparent and responsive to the people of Texas. Texas A&M University is a great school to go to, especially for conservatives. There are all kinds of conservative groups and it is consistently ranked as one of the most conservative Universities in America based on the large percentage of self identified conservatives in the student body population. Just because Texas A&M is conservative does not mean that Texas A&M does not have some liberal nutjobs though. I remember there being some crazy left wing professors at Texas A&M when I went there. We can add one more crazy liberal professor to the list. Apparently, one of the law school professors wants to repeal the 2nd Amendment! A professor at a Texas law school believes she has the solution to gun violence, one that includes the complete repeal and replacement of the Second Amendment. Texas A&M law professor Mary Margaret Penrose spoke on panel discussing gun control and the Second Amendment during a day-long symposium at the University of Connecticut’s School of Law. During the panel, the professor asked the audience — full of law students and attorneys — if they felt legislation to prevent gun tragedies was successful. As the room remained silent, Penrose then suggested it was time for some controversial changes to be made to the U.S. Constitution and Bill of Rights. Dan Patrick is one of the few leaders in Texas to take a stand against the unbelievable Texas Tuition Set Aside, also known as the Texas Tax on College Student Tuition. That is right, in Texas of all places the State has a law that forces all college students to pay a MINIMUM 20% "tax" that is added to the college tuition that students pay. The tuition tax goes to pay for other people's college tuition. Even if the student is having to take out students loans to pay for their tuition, they still have to pay the tax which means they are taking out a loan to pay for another student's free tuition. UNBELIEVABLE! Texas students are being punished for taking a positive step forward and trying to get a college degree. Texas State Senator Dan Patrick, who is running for Lieutenant Governor, is known to be a fighter for Texans and for Conservative Values. We all know the high profile issues that Patrick has stood up for like pro-life issues and gun rights issues. Most people have no idea though about the battle that Dan Patrick has fought to stop the Texas Tuition Tax. most people do not even know that there is a Texas Tuition Tax! The Texas Tuition Tax was a hidden tax. Students never had any idea that they were even being forced to pay it as part of their college tuition. When Dan Patrick got elected to the Texas Senate, he set out to go against the grain and expose and stop this tax. The first step in taking down the tax is to inform people about this outrageous tax. In 2009, Dan Patrick introduced and passed SB 1304 to force colleges to reveal to students that they were having a large portion of their tuition set aside to pay for other people's tuition. After exposing the tuition tax, Senator Patrick, along with Senator Birdwell, introduced SB 444 in 2011 to END the tuition tax. Patrick's bill never made it out of committee. Not only did many other Senators not support ending the Tax, but even the LT Governor David Dewhurst apparently did not care to end the tax because the bill never even made it out of committee. The Lieutenant Governor of Texas hand picks the chairmen of the Senate Committees. If the LT Governor wants a bill to be voted on by the Senate, the LT Governor can make sure the bill makes it out of committee for a full Senate vote. I have always thought Dewhurst was a good guy. I believe that personally he is a conservative. We need a fighter though. 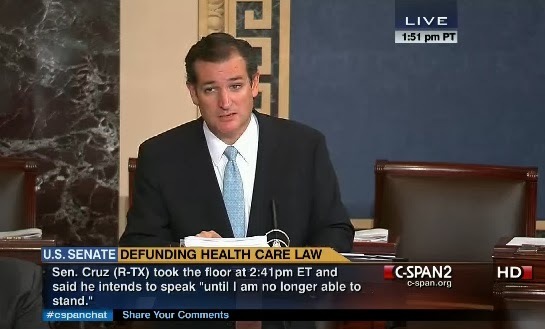 This is exactly why I supported Ted Cruz for US Senate over Dewhurst. Ted Cruz boldly stands and fights for conservative values while Dewhurst, although he is conservative, does not stand up and fight like he should. I understand bi-partisanship, but many of his committee chairmen are some of the worst liberals in all of Texas. Many issues, like Patrick's Stop Texas Tuition Tax bill, are also left to die in Senate Committees without even being considered for a floor vote. Thank You Senator Dan Patrick! I know that if you win the Texas Lieutenant Governor election in 2014 then you not hesitate to make sure conservative issues, like stopping the tuition tax, do not get killed in committee. This Texas Tuition Tax is outrageous and conservatives in Texas need to spread the word about this tax and join in to help Dan Patrick in his efforts to stop it! The Texas Attorney General election is not until the March 2014 Republican Primary, but the race is already in full swing. One candidate is clearly the most qualified and experienced for the job. Barry Smitherman. The Texas Attorney General is the top lawyer for the State of Texas. The Attorney General defends Texas against lawsuits, and he also files lawsuits against others, like Obama, on behalf of Texas in order to protect Texas. When the new Texas late term abortion restrictions passed into law, it was the Texas Attorney General, Greg Abbott, who defended the law in court so that the law could go into effect. When Obama passed Obamacare, it was the Texas Attorney General, Greg Abbott, who sued Obama in order to protect the rights of the people of Texas and to protect the state sovereignty of the State of Texas from the over-reaching healthcare law. Greg Abbott is stepping down from his current job as Texas Attorney General in order to run in the Texas Governor's race. Texas Railroad Commission Chairman Barry Smitherman is stepping up and running to fill the shoes that Greg Abbot will be leaving. So who in the Texas Attorney General's race is actually experienced and qualified to defend the laws of Texas from President Obama's over-reaching administration? Barry Smitherman is the only candidate with the qualifications and experience to do the job. Why? Because Barry Smitherman has ALREADY sued Obama's EPA 7 times. Greg Abbott likes to say that he has the best job in the world because he wakes up and gets to sue Obama. Well, if you have to replace Abbott, it should be someone who already knows how to sue Obama and loves doing it. The only person in the race who can say that is Barry Smitherman. Obama's EPA is constantly coming to Texas trying to kill our oil, gas and energy industry. Obama wants to kill our jobs, raise gas prices, and force his climate change agenda on Texas. 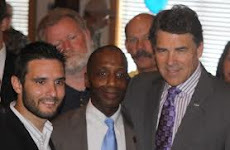 Every time Obama's EPA came to Texas to attack our great State, Barry Smitherman was right there standing tall and fighting back. As head of the Texas Public Utilities Commission, Smitherman sued Obama's EPA 5 times. Then, as the statewide, elected Chairman of the Texas Railroad Commission, Smitherman sued Obama's EPA 2 more times. Suing Obama 7 times is a huge statement and one that clearly shows that Smitherman is already ready to step into the position of Texas Attorney General and keep on suing Obama. Smitherman's record is almost too good to be true so PolitiFact has examined all seven lawsuits and has determined that it is true that Smitherman has sues Obama's EPA 7 times. Smitherman really is as conservative, genuine, and dedicated as he seems. His proven record shows that he is not too good to be true. He is just too good. 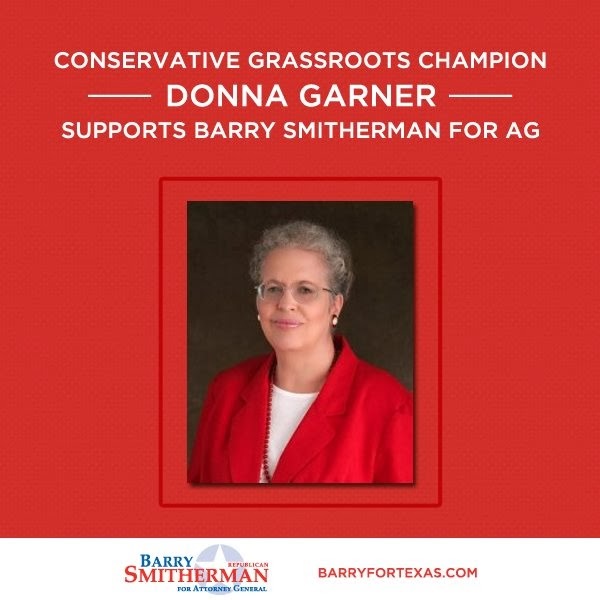 I want an Attorney General who is not afraid to go toe to toe with Obama and Barry Smitherman has the proven record to show that he can and will Stand up to Obama and protect and defend Texas. According to the Texas Tribune, during one of Smitherman’s past Public Utility Commissions meetings, chairman Barry Smitherman, in a brief digression from the agends, said that the federal agency was attempting to “disarm the U.S. economy,” with a raft of rules covering everything from fly-ash waste from coal plants to greenhouse gasses. Lastly, check out the video below from Barry Smitherman's campaign. Smitherman calls for Texans to join his conservative crusade to defend and protect the laws and Constitution of the great State of Texas. Count me in! So a cop in southeast Texas gets arrested for being wasted and driving with small children in the back seat. What is his punishment? The Beaumont Police Department gives the guy a paid leave. In other words, the drunk driving cop gets a paid vacation that taxpayers are funding. Doesn't sound like much of a punishment does it? If you are going to pay the guy at least don't completely take send him home. Take his badge and take him off the streets but make him clean toilets or something instead of him getting a paid vacation. A Beaumont police officer is on paid leave after being arrested on a felony charge of driving while intoxicated. Sgt. Chuck Havard, with the Texas Department of Public Safety, said officer Richard Rovera was stopped by a state trooper June 15 around 7 p.m. at the intersection of Jade Avenue and 60th Street. Rovera had three minors under the age of 15 with him in the vehicle. The trooper performed a field sobriety test, and Rovera was taken into custody and booked into the Jefferson County Jail. Havard said the Department of Public Safety was not releasing any additional information about the arrest as of Tuesday. Beaumont Police Department spokesman Sgt.Rob Flores said his department was contacted about the arrest, and the decision was made to put Rovera on paid administrative leave. Flores said the department is not issuing any more information about the case until a grand jury makes a determination. According to Jefferson County Jail records, Rovera was released June 16 after posting a $10,000 bond. Under the Texas Penal Code, driving while intoxicated with a child passenger is a state jail felony punishable by between 180 day and two years incarceration and a fine not to exceed $10,000. The tunnel stretched from a warehouse in Tijuana, Mexico to a building in a San Diego, California industrial park. It was complete with its own electric rail system, lighting, and ventilation systems. Authorities describe the tunnel as “the most sophisticated tunnel discovered along the border in two years,” and it stretched six football fields in length. In a rare move, the U.S. Attorney’s Office directly blamed Mexican cartels for the operation. “The cartels have spent years and tens of millions of dollars trying in vain to create an underworld of secret passageways to move huge quantities of drugs at will,” said U.S.
Attorney Laura Duffy, the head of the office prosecuting the case. The U.S./Mexico border is wide open for much of its nearly 2,000 miles, and U.S. Border Patrol Agents have spoken out publicly through their union, the National Border Patrol Council, on the obstacles they face in trying to secure the border. However, the open nature of such border crossings allows only trickles of drug smuggling and human trafficking in comparison to the large scale single shipments that a tunnel such as this makes possible. There have also been recent cases of U.S. law enforcement accused of receiving payments to allow such shipments to cross the U.S./Mexico border. Such tunnels are also a grave concern in the realm of national security and terrorism. In 2012, the United Nations (UN) acknowledged that individuals from known terror states and regions, including the Horn of Africa, were traveling to Central America and then following the same paths and networks as illegal immigrants from Central America and Mexico to illegally enter the U.S. According to ICE, this particular tunnel was found by pure chance by one police officer doing his or her duty. The officer pulled over a truck in San Diego for traffic violations and realized the vehicle contained three tons of marijuana. After this initial chance encounter, investigators began monitoring the area. Days later, they executed search warrants on two warehouses and found both the tunnel and a storage building for what came through the tunnel from Mexico. In addition to 17,292 pounds of marijuana, U.S. authorities also seized 325 pounds of cocaine. 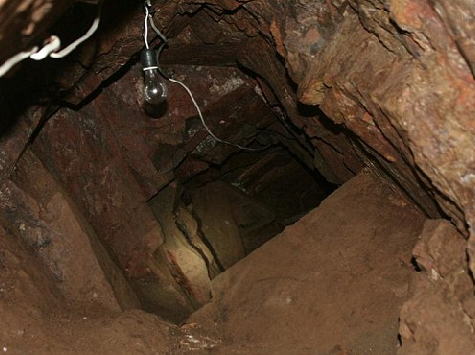 This tunnel was the eighth large scale tunnel discovered in the San Diego area alone since 2006. A reported 75 cross-border tunnels have been detected by U.S. authorities in total.